Peak gains of 23-25whp, starting around 5K from the headers alone. Nice gains, and cool that you tune it yourself. I am surprised the air filter is that restrictive! I'm also curious what cats would do to the flow. EDIT: Nice garage floor too btw! Peak torque also shifted to 6000rpm area. Would be very useful on a track car! Ya, same on mine as well Paul. Last edited by stash1; Tue, Oct-31-2017 at 03:17:34 PM. Cant wait to see your dynos stash. Should be really interesting. Very happy with the area under the curve I gained at high rpm. The intake stuff is crazy for sure. Would be cool to see all the intakes and airboxes compared on a dyno back to back. Have a sound clip? Curious to see how these sound with a more civilized exhaust like the Dinan. Very exotic below 4.5k Rpm like no other exhaust. Ill post up a sound clip when I get home. Above 4.5k they sound like a regular header though. so did you have a stock section 2? Excellent work dialing her in G! I really think you'll make some incredible gains with cams, valves, and even throw in a valve seat regrind (good for new valves anyway). With the [flow] mods you have now, including airbox, you'll really exploit the gains cams and valves can make on this engine. Thanks again, you're the best. Maybe after I get all the other stuff on. Would be crazy for sure. Last edited by 95bullet; Tue, Oct-31-2017 at 03:39:55 PM. Nice to see some data on these. Thanks for sharing OP! I will echo everyone else, nice to see some cold hard independent data on these. I am most impressed that you tuned your car yourself. That should help ease some of the tuning fears that this header seems to have going with it. 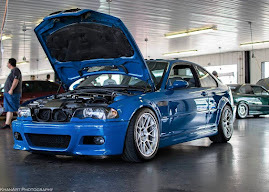 Mods: Genuine OE CSL Bumper, Both Karbonius and Streamline CSL Airboxes, OE CSL Snorkel w/ working Flap, OE Map Sensor + OE Air Rail, Paul Claude Custom Tune, CSL Engine management with CSL converted DME, Supersprint V1 Stepped Headers w/ Oversized Catless section 1, SS 2.5" Twin-Piped Oversized Custom section 2, Custom Oversized Supersprint muffler, WPC treated rod-bearings, VinceBar (weld) + Redish Plates, Full Beisan VANOS lockdown, BBS LMs w/ PSS, Brembo GT6 (front) + GT4 (rear) BBK, CSL style CF diffuser, Vorsteiner CF CSL Bootlid, CSL SMG Engine DME tune, CSL '255' SMG DME tune, SMG Pump Relocated. Camshaft Group-Buy, OE CSL Bootlids, Supersprint Headers/Exhaust thread, New Supersprint Oversized Twin-Piped Section 2 ...and more to come! Please PM me - In search of: Nothing at the moment. Ok so stock intake is not good? I’ve always read on here that stock isn’t restrictive at all. I have the dry afe filter, hope that helps some. Nice gains btw op! stock intake is probably good for the stock headers.it's obviously not when opening up the exhaust like these headers do. How about that!! Nice gains OP!! Now, I am kicking myself for not taking the first set when they were offered. 2001 M3, LSB 6spd, purchased 6/09 with 25K miles. Yeah, the intake filter results are odd. The stock intake is pretty free flowing, and the filter isn't the limiting factor of it. All times are GMT. The time now is 10:50:26 AM.